James Blaine was a dominant figure in American politics after the Civil War. 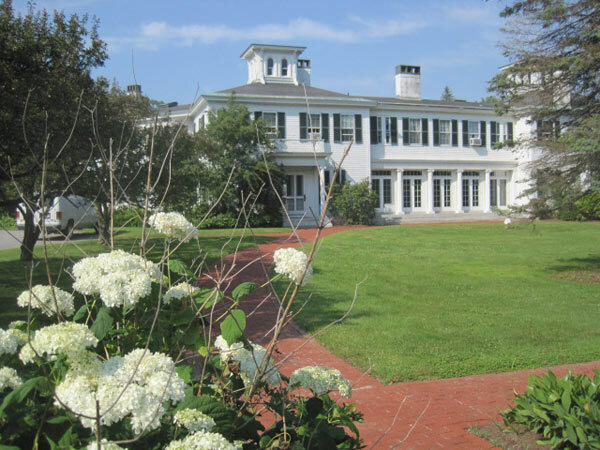 In 1919 his daughter Harriet Blaine Beal donated Blaine House to be used as Maine’s Governor’s mansion. 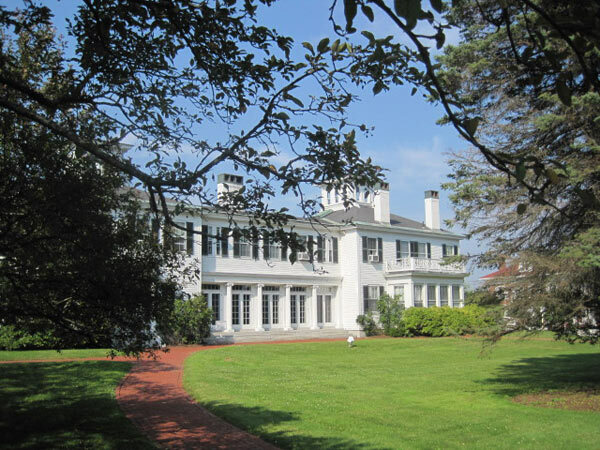 John Calvin Stevens was hired to redesign and enlarge the mansion, and the Olmsted Brothers, represented by Carl Rust Parker, prepared plans for the mansion grounds, State House, and Capitol Park. The firm completed designs in 1920, the same year they also completed Blaine Memorial Park, and consulted sporadically until about 1929. 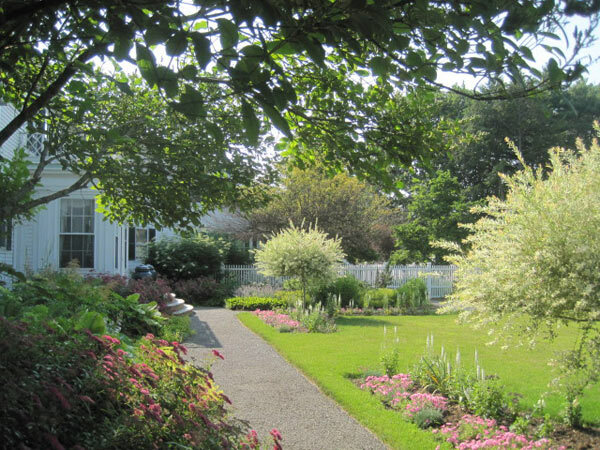 Parker’s plan proposed a formal entrance, service area, shrub garden, and a New England Garden with geometric beds and a central lawn surrounded by footpaths and picket fencing. 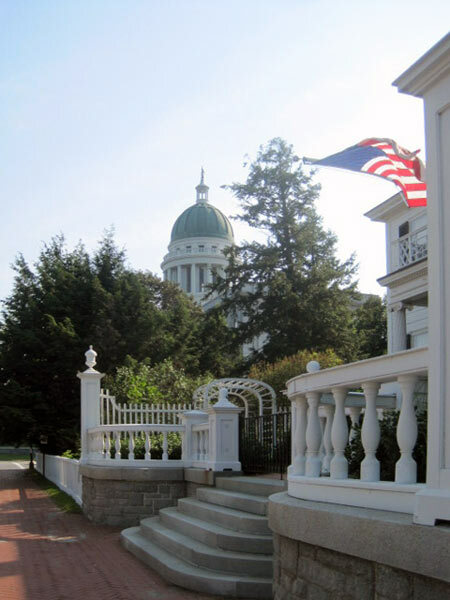 A Governor’s Gate was designed to lead to the adjacent State House. 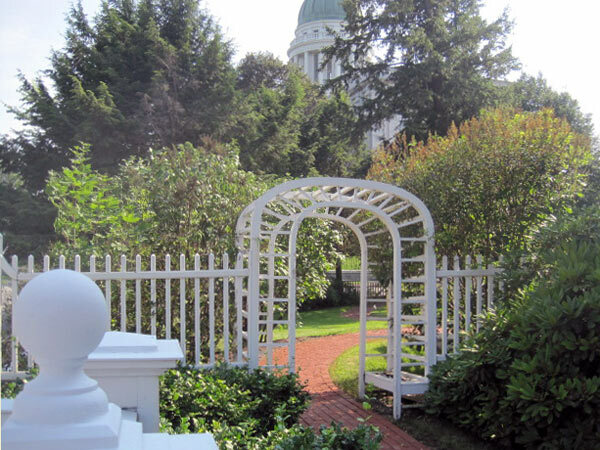 Limited state funding constrained the implementation of Parker’s plan; only part of the Governor’s Gate path and some of the New England Garden’s flagstones, planting areas, and fencing were installed. 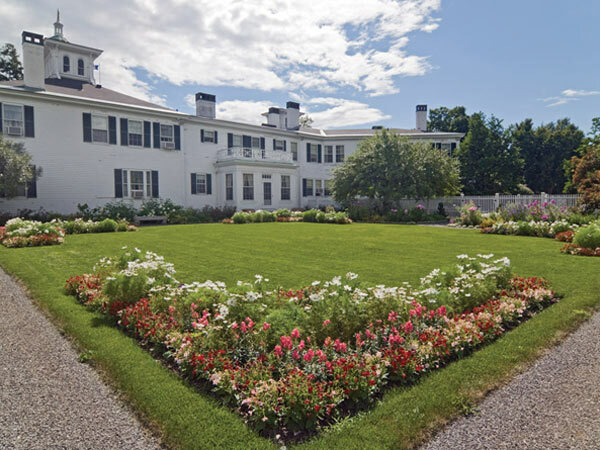 In 1984 a landscape rehabilitation project resulted in the construction of Parker’s formal entrance. 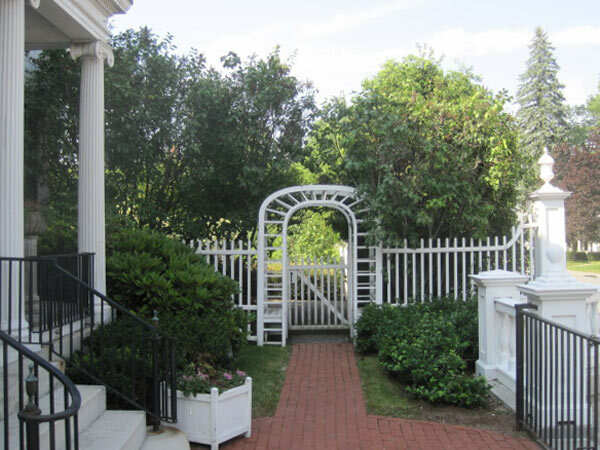 Granite steps were installed, measuring 19 feet in width, along with a curved granite retaining wall, terraced landing, pair of arbors, and brick paths leading to side gardens. 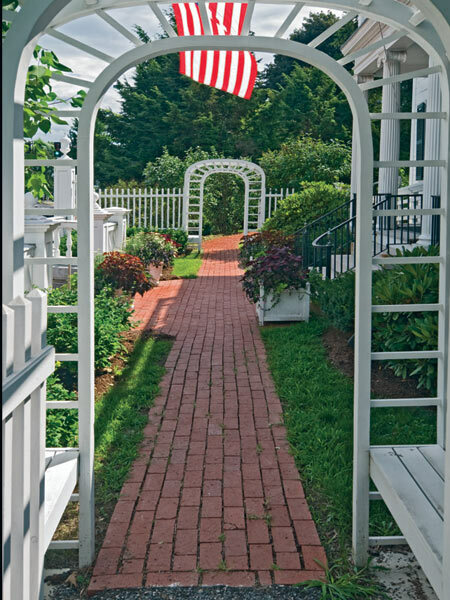 The New England Garden, which had disappeared over time, was reconstructed in 2006 from Parker’s plans. The Blaine House was designated a National Historic Landmark in 1964.